The decans give a shade of additional meaning to each astrological sign. You could say that metaphorically the decans are like dropping a bit of blue paint into a bucket of red paint. The paint in the bucket is still red, but it's a slightly different shade of red. In natal astrology, the 36 decans are associated with traits that add a shade of difference to the characteristics of your astrological Sun sign. 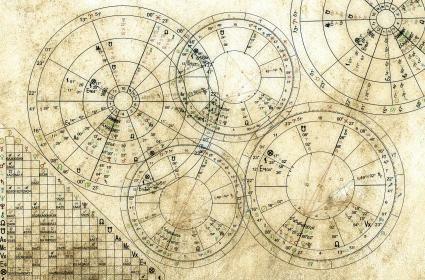 Some astrologers believe decan based astrology is more effective because it reveals 36 types of personalities instead of 12. The history of the decan begins in ancient Egypt around the 5th century BCE. The Egyptian decans are based on the asterisms (small star groups) that rose consecutively and regularly on the horizon due to the earth's rotation. Decans were initially used by the Egyptians as a sidereal star clock. The ancient Egyptians believed that the deities manifest in certain forms and at specific times. It's likely that the decans brought this belief into the Greek zodiac and may explain why they were absorbed the way they were, as sections of each zodiac sign. Western astrology has its roots primarily in Mesopotamia. It was the Mesopotamians who eventually developed the signs of the zodiac and the concept of natal astrology. While this was happening in Mesopotamia, the Egyptians astrologers were developing the decans. These two astrological traditions came together sometime around the 1st Century BCE and the 36 decans were merged with the astrological signs. Each of the astrological signs of the zodiac is an arc of 30° in the 360° astrological zodiac. Each sign is subdivided into three decans of 10° each. In modern astrology, the three decans of each sign are defined by the three signs of the same element (triplicity) and the traditional ruling planets of those signs. In Tarot decks there are 36 cards in the Minor Arcana numbered 1-10 that are divided into four suits. Each of these numbered cards represents one zodiacal decan. Just like the 12 astrology signs, each suit of the Minor Arcana is related to one of the four elements. Many Tarot readers combine tarot with astrology and use the decans to gain a deeper understanding of the numbered cards when doing a Tarot spread. To find out the decan of your Sun sign, you'll need to know the degree the Sun was on the day you were born. The easiest way to find this degree is to use the free tool at Astro-Seek to calculate your horoscope. Is it Necessary to Know the Decans? Not all astrologers use decans, some use only a few, and some use decans all the time. The decans and their rulers have proven to be very useful in tarot readings and predictive astrology, especially in the progressed horoscope. Sometimes they complete the story, and at other times they help pinpoint the nature of activity going on in the subject's life. Is it necessary to know the decans? Probably not, but once you begin using them, they can add some surprisingly accurate twists to your Sun sign and other planetary placements.